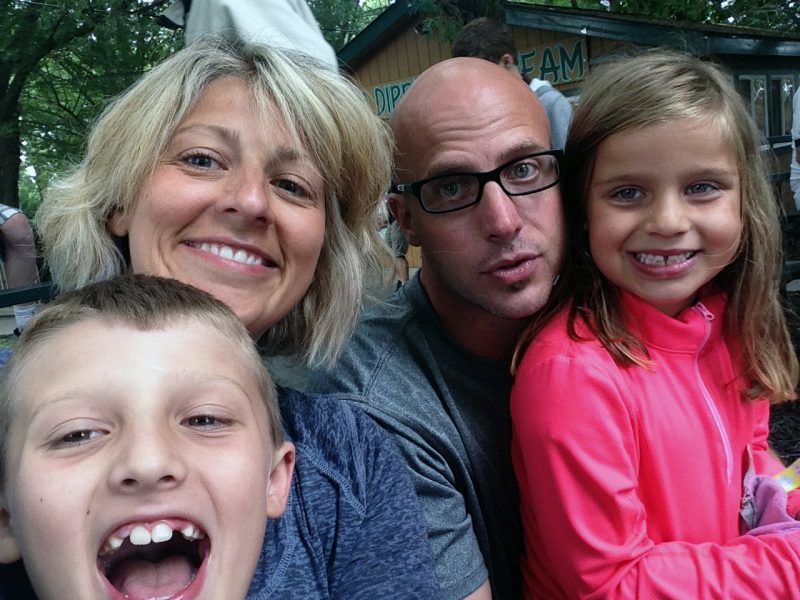 Gina Bannevich and her husband, Jason, with their children Dominick and Giavonna. Loud, noisy, crowded public places can be difficult for kids with autism, like Dominick. Parents, teachers and health care providers see it daily – no 2 children are the same in how they learn and process the world around them. Now, the rest of the world, including the world of business, is starting to take note and be more inclusive. During this Autism Awareness Month, Gina Bannevich is one architect of change worth saluting. Gina is marketing director for Belden Village Mall in Canton, which is part of the Starwood Retail Partners group of shopping center properties. As the mother of a son with autism, Gina knows loud, noisy, crowded public places can be difficult for kids with autism and other sensory processing disorders. Four years ago, she suggested Belden Village offer a “Soothing Santa” experience so children, like her son, Dominick, now 10, could enjoy a visit with Santa Claus just like other kids during the holiday season. 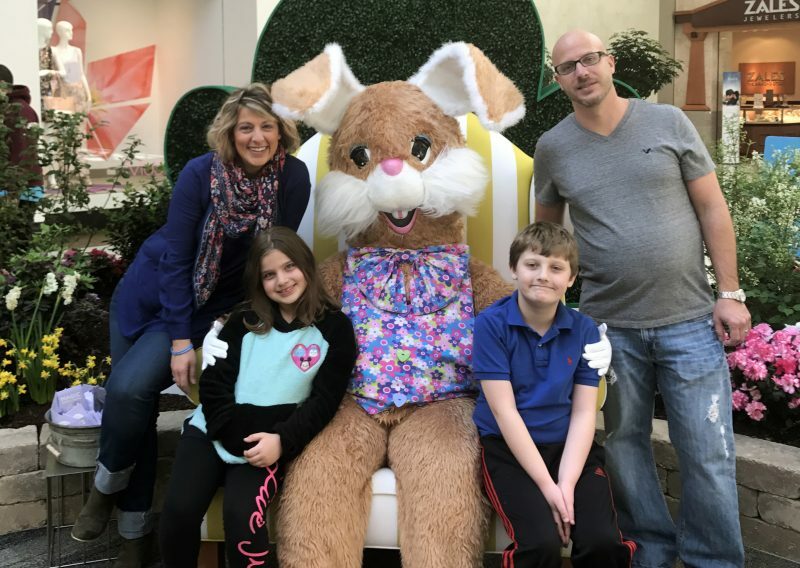 Belden Village Mall now offers a Soothing Bunny event too, which The Bannevichs were certain to take advantage of for a family portrait. Gina said Starwood management was very supportive and, over the years, about 30 other malls nationwide have added similar programs. This spring, Belden Village added a Soothing Bunny program. Akron Children’s has sponsored the programs at Belden Village for several years. Gina says it’s not just the right thing to do, but it’s a smart business to be inclusive in today’s world, especially where tales of good – and bad – customer service are so easily shared by customers via social media. 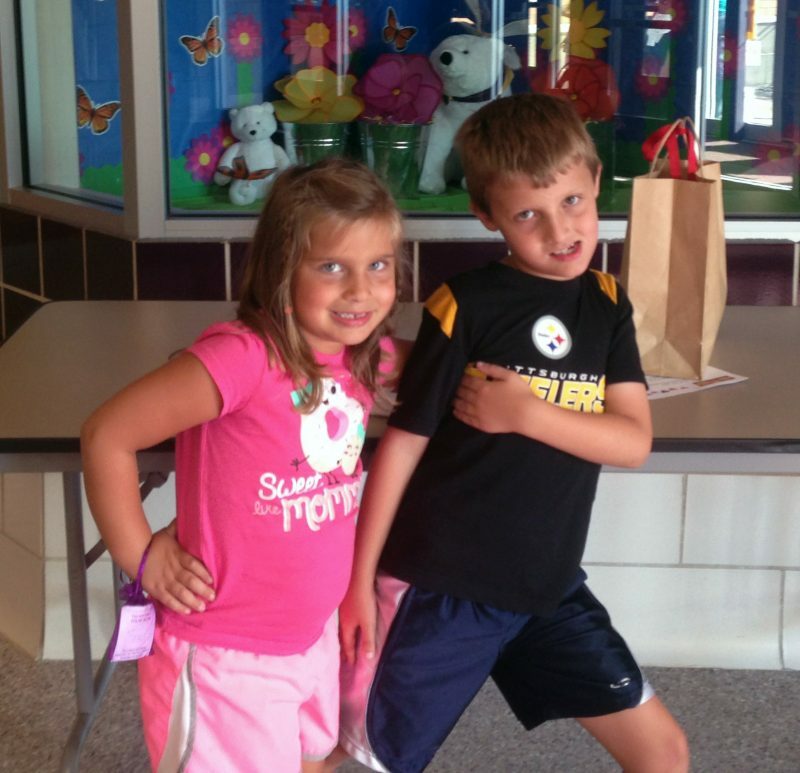 Dominick, a 3rd grader at Strausser Elementary School in Massillon, is in many ways a typical 10-year-old boy who loves Legos, dinosaurs and trains, and pursuing adventures with his younger sister, Giavonna. But, like many kids on the autism spectrum, he has difficulty with transitions and does not do well if he gets too tired or if a well-planned day takes a detour. Dominick and his younger sister, Giavonna, enjoy going to school and pursuing adventures together. 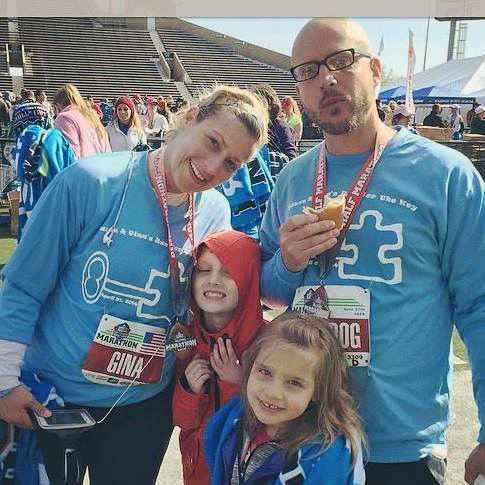 Gina and her husband, Jason, sought testing for Dominick when he was 2 and the autism diagnosis followed. Dr. Robert Hull, a developmental-behavioral pediatrician at Akron Children’s, helped guide the family through the testing and early intervention services. After doing well at the Golden Key Center for Exceptional Children, Dominick has successfully made the transition to his public school with neurodevelopmental experts at Akron Children’s continuing to offer testing and support, including guidance on his Individualized Education Plan (IEP). 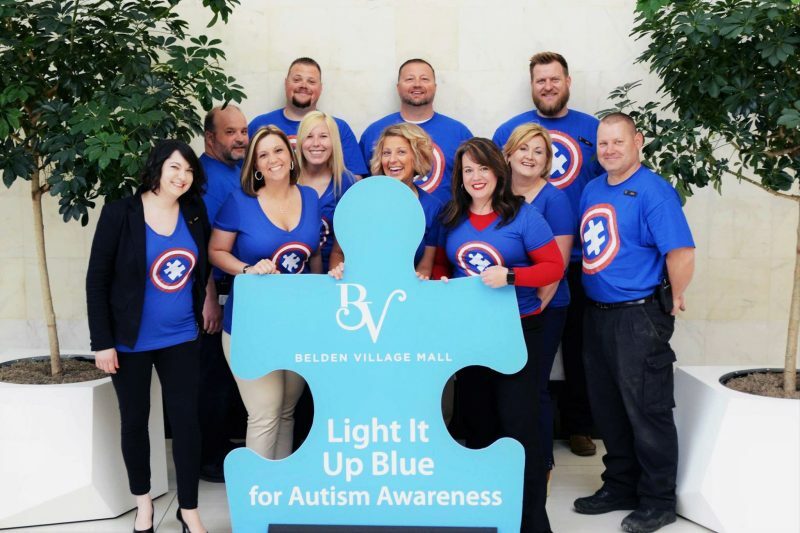 The management team of Belden Village Mall dressed to support the national initiative “Light it Up Blue” during Autism Awareness Month. The Bannevichs represent Golden Key Center for Exceptional Children at the marathon in Canton.